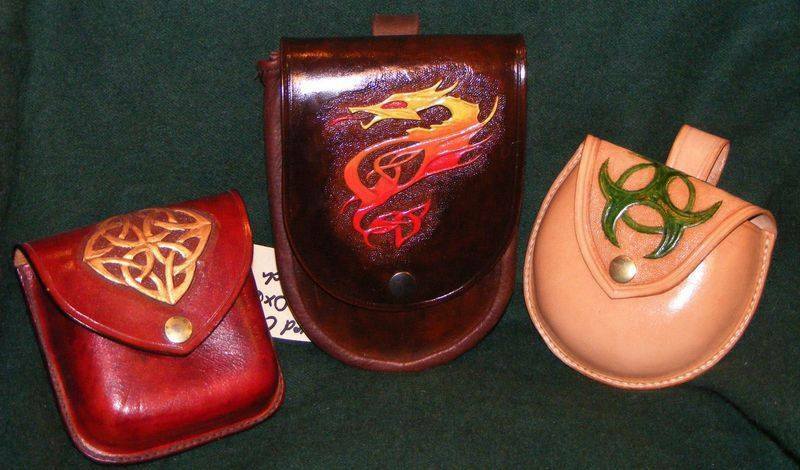 pouches are made to be securely fixed to a belt . We also make pouches for tablets , i-phones etc . Fully carved phone cases made to order . Phone slip cases plain or tooled , with lettering or stamped . 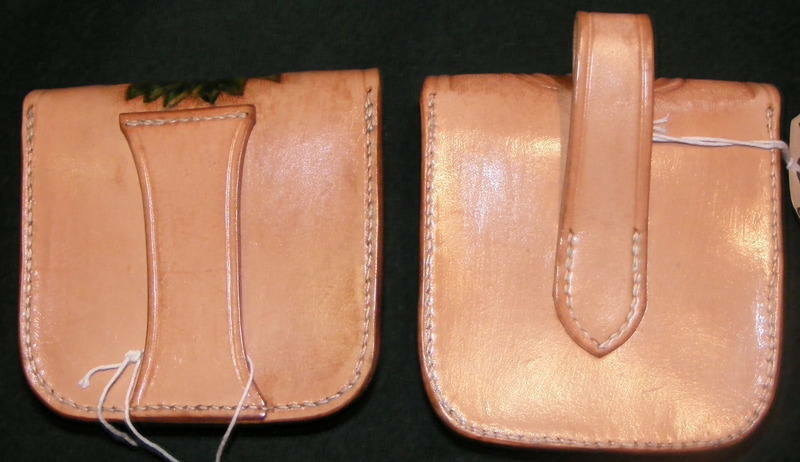 We make pouches with a traditional flap . 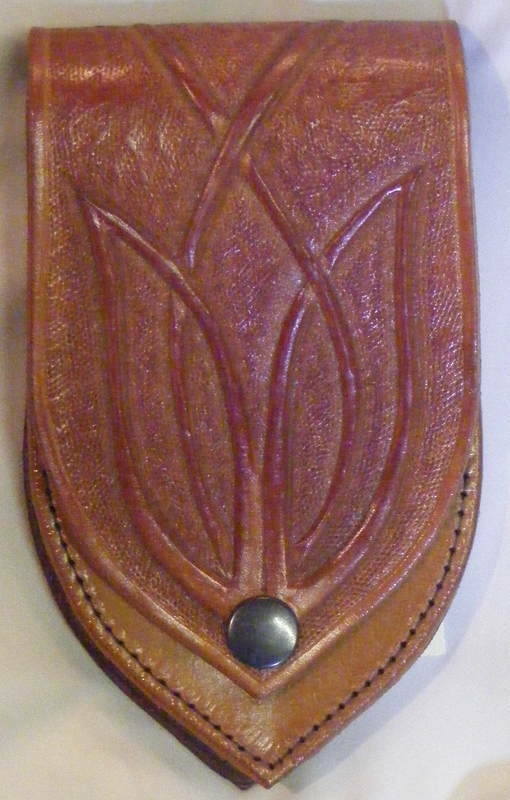 Phone case on a traditional shoulder holster . 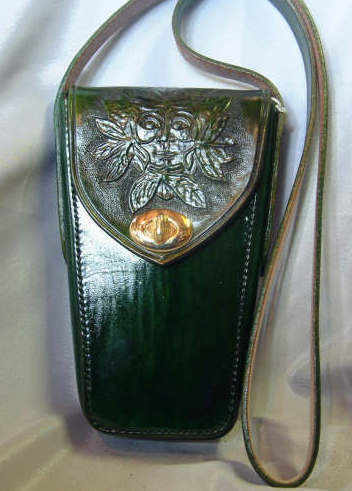 Phone case on a pouch with a shoulder strap . these can be made to size , shape and colour . Or with a spring clip .